Portable file holds data binders and hanging files from 9" to 15-5/8" wide x 16" high. 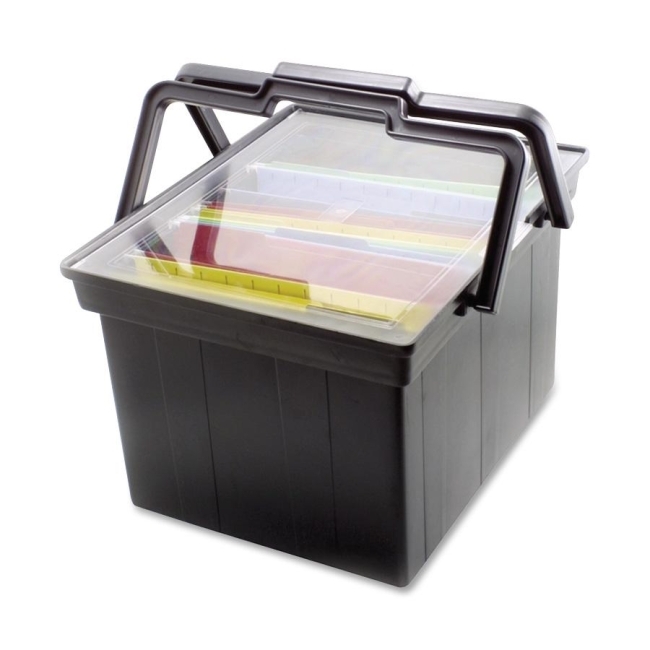 File features easy lift handles and a transparent lid. Use alone or set inside rolling Advantus Heavy-Duty File Shuttle.